Commerce Lexington and the area’s leading banks and financial institutions have teamed up in the Acce$$ Loan Program to improve your odds of getting approval for a loan that matches your business needs. There are no guarantees, but you will know what your chances are of securing the credit you desire. The Program will provide valuable feedback from experts in the lending community to assist you in putting together a business plan and gathering information that is important to your success. This innovative program has been responsible for $19.2 million in financing for the start or expansion of area small businesses since its inception in 2001. 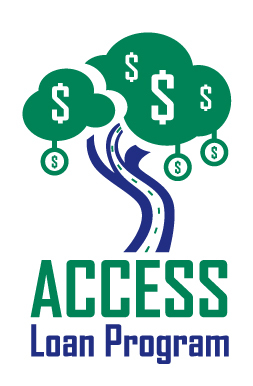 The Acce$$ Loan Program’s mission is to provide easier access to the financing and helpful business advice that you need to start or grow your business. This program is committed to fostering economic growth and enhancing business opportunities for minorities, women, and small businesses. • Your business must be in the Greater Lexington area. • Your business must be for profit. • Pursuing a loan for a business start-up, an expansion of your current business, the purchase of a franchise, or the purchase of an existing business. • There is a $5,000 loan minimum. • Use of funds must be for working capital, inventory, leasehold improvements, and equipment for commercial use only. > Loan packages available to be picked up and dropped off at the Commerce Lexington Inc. offices at 330 East Main Street, Suite 205. > All information provided to the Acce$$ Committee & Commerce Lexington will be kept confidential. > Business planning assistance is available FREE of charge through the Bluegrass Small Business Development Center. Call (859) 257-7666 or toll-free 1-888-475-SBDC to schedule an appointment.